24 hours to the day, 5 working days and 7 days of creation. These are the co-ordinates that are eating up your life, systematically and without reprieve. Off course you want to go sky diving in New Zealand and on other days, sleep till the Sun is high. But you need to take care of some hygiene factors first. These include, apart from the actual hygiene, going to work, commuting, cooking, eating etc. By the time you are done, it is time to rest so that come tomorrow, you can do this all over again. Sounds insane, doesn’t it? This is your routine and it is killing you, one day at a time. It is distracting enough though, to keep you going. You even begin to enjoy it at times, trying repeatedly to get better at it. It can be frustrating too but you just can’t let go. Sounds very much like a Video game doesn’t it? 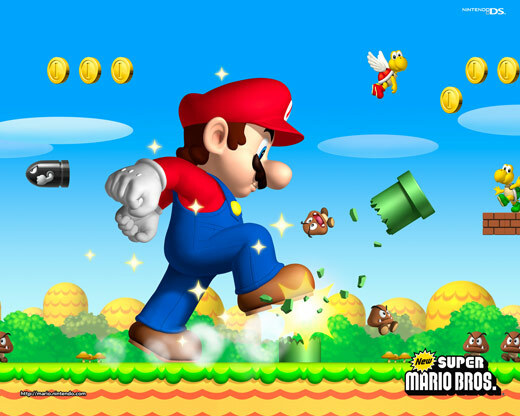 Super Mario ducks rockets, flies over valleys and zaps monsters. But they just keep coming. The momentary joy finishing level I is immediately followed by the dread of level II. The rockets are faster, valleys deeper and monsters meaner. But the lure of what lies at the end of level two eggs you on. You will get better at it. You just need to keep on trying, again and again. To make it easier, Super Mario always has a smile on his face as if defying gravity and running perpetually was what he was born to do! The pain can be excruciating. You know you need a break. You know level two is not the end but only the begining of an even more painful level three. But you keep going as if you were hard wired to do so. As compelled as you may feel to finish the Video/computer game, to conquer it through its own absurd rules and limitations, you forget that you are the one who should be in control. All you need to do is pull the plug.